Ponta do Sol in 46.19 km² of area and 8,862 inhabitants (2011), divided into three parishes. The settlement of Ponta do Sol is around 1425, shortly after the discovery of the island by Portuguese settlers coming from Minho, the Beiras and the Algarve. Due to the fertility of its soil, has always been harnessed to calls rich cultures, and at the time of colonization one of the most active agricultural production centers, especially sugarcane. Not oblivious to this, December 2, 1501, by decree of King Manuel I, this village is elevated to village and municipal council. Since the beginning of its settlement, the sugar cane was the main economy of the county, being used as a bargaining chip with the kingdom for other products necessary for everyday life, such as tools, textiles, salt, oil, and others. In 1835, were added to the county parishes of Tabua, Ribeira Brava and Serra de Água, a fact that in 1914, after the establishment of the Republic, it was changed by the creation of the municipality of Ribeira Brava, returning to decrease the extension of Ponta do Sol. 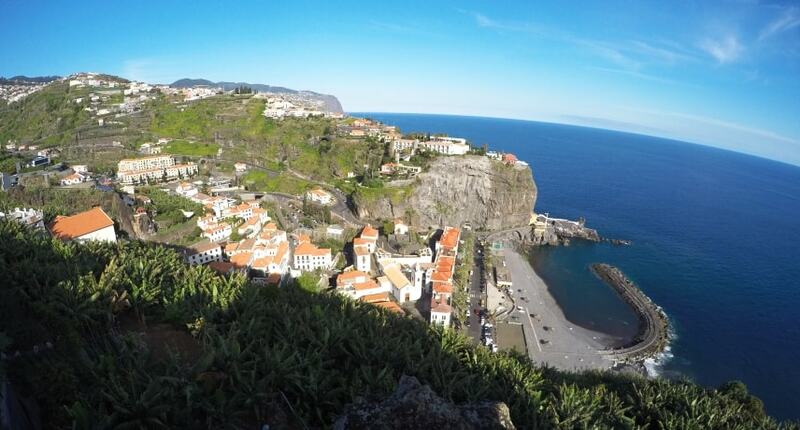 Becoming thus the smallest municipality in the Madeira Autonomous Region, a fact which remains until today.